SUPPORTS HEALTHY HAIR, SKIN, & NAILS: Collagen protein is one of the most abundant proteins in the human body. Natural collagen production declines with age. SUPPORTS HEALTHY JOINTS: The perfect protein complement to any workout or morning routine. Simply add to your smoothie, shake, or coffee as a creamer. 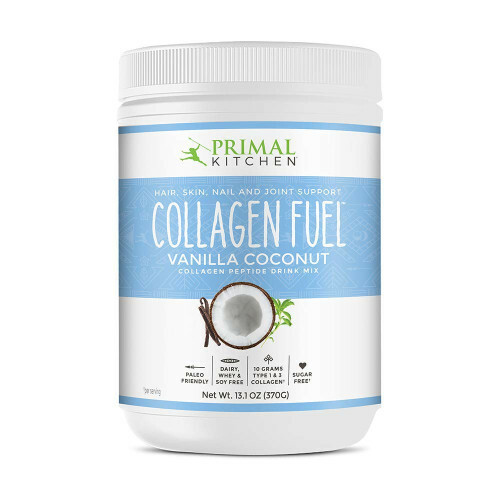 PRIMAL, PALEO & KETO FRIENDLY: contains beneficial fat and 10 Grams of collagen types 1 & 3 per serving. 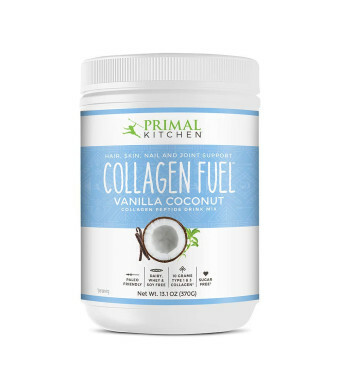 DELICIOUS & EASY TO DRINK: Primal Kitchen Vanilla Coconut Collagen Fuel is made with vanilla extract and coconut milk powder for exceptional flavor mixed with water or combined in a shake or smoothie.